Our first task in Hong Kong was to get our Chinese visa. It was a Thursday and we planned to leave the following Tuesday. That meant we needed a next working day application as the 4 working day visa wouldn’t be with us until Tuesday at 5pm. Our hotel was £80 per night, so two nights would’ve cost us significantly more than the extra cost of a next working day visa. We easily found the agency which would get us our visa and after 10 minutes filling out the usual form we were done. 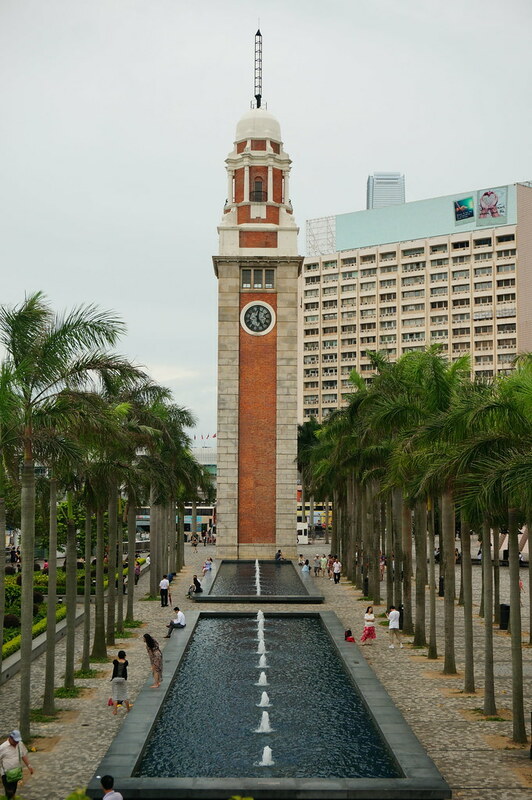 About 1 minute from the agency is the Hong Kong History Museum. The museum was brilliant, we both thought it was very good. It started with the geological creation of Hong Kong, millions of years ago tracing how the landscape of today was formed, going from a shallow sea to a desert to the natural harbour of today. This was fascinating and really informative. The rest of the museum was just as good. Looking at the different tribes which had lived in the Hong Kong area, then how the Chinese dynasties had controlled the area and early trade with Europe. Then it looked at how the British gained Hong Kong and what they did with it. We spent quite a few hours in the museum. By now it was turned 2pm and definitely time to eat! We saw a pie counter by the street and bought a nice pie. 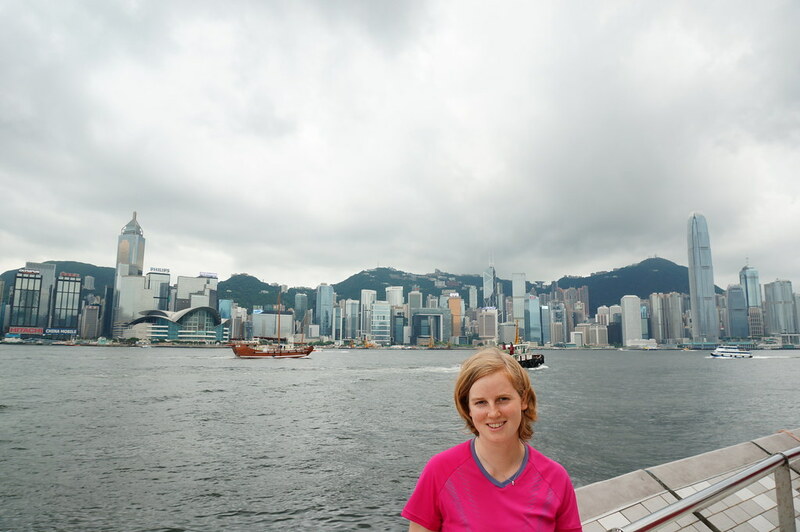 We decided to walk down to the harbour side and eat there, looking at the famous Hong Kong city view which we hadn’t yet seen. This was easier said than done, but we managed to navigate across the busy roads and raised intersections. As we sat on a bench looking towards the island of Hong Kong the sky rapidly got darker as huge black clouds gathered overhead. Rain was imminent! Not knowing what was nearby we decided it would be safest to go into the Starbucks which was right behind us (in Hong Kong I think there’s a Starbucks every 300m. I wonder if they make here a profit here where the taxes are low?) It rained for about 2 minutes after I’d sat down then stopped and brightened up! After our coffee we walked down the Avenue of Stars. This is kind of like the stars in Hollywood, with the names of famous actors and actresses in the pavement along with their handprints set into the concrete. The Chinese loved it and were crowding around getting their photos taken in front of the stars. We found Jet Li and Bruce Lee, but we had no idea who the rest of the movie stars were. Having seen a few Chinese movies on TV in the last few months I think it’s highly unlikely they’ll break through into Hollywood. 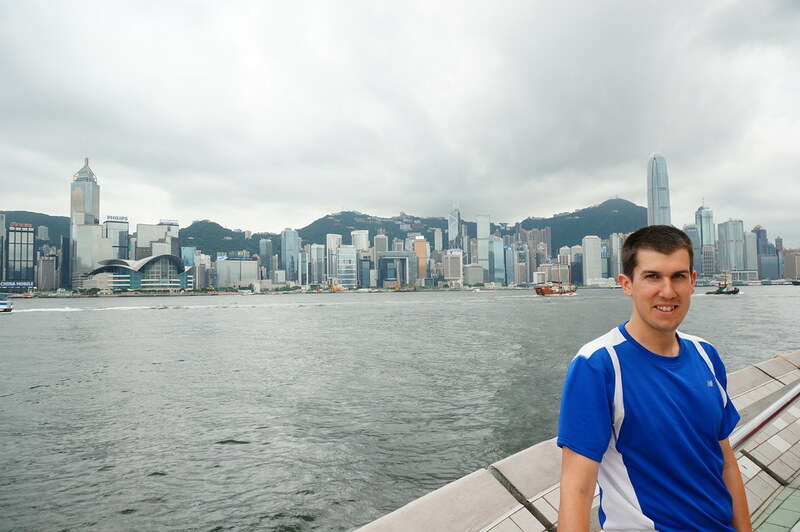 The avenue did have a fantastic view of the Hong Kong skyline. 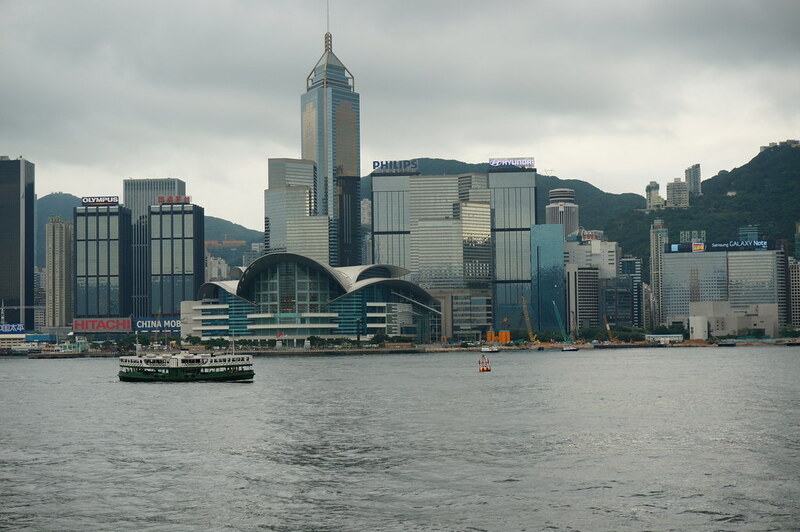 It runs along the shore of Victoria Harbour at the end of Kowloon. We took a few photos of the skyline as we made our way along the shore. Posted from Hong Kong, Kowloon, Hong Kong.